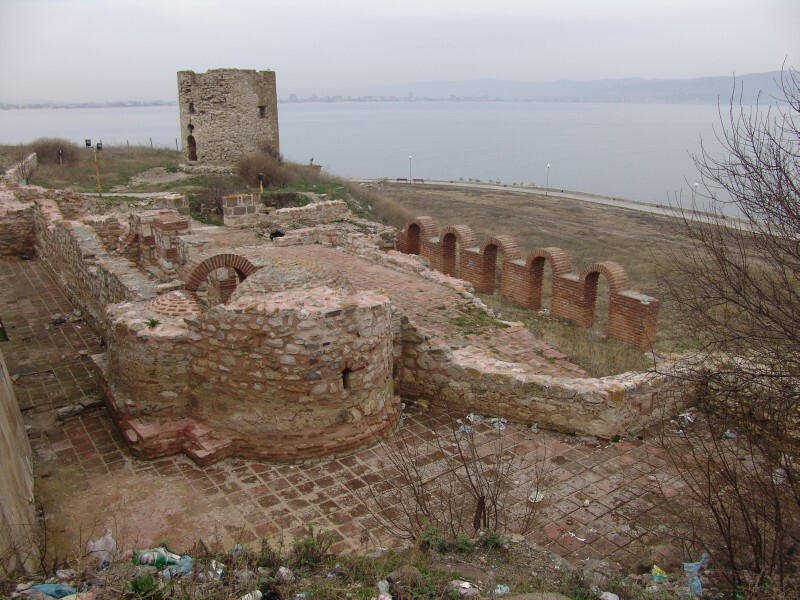 THE BASILICA HOLY MOTHER ELEUSA (TENDERNESS) was situated on the northern side of the peninsula. It was built 6th century. 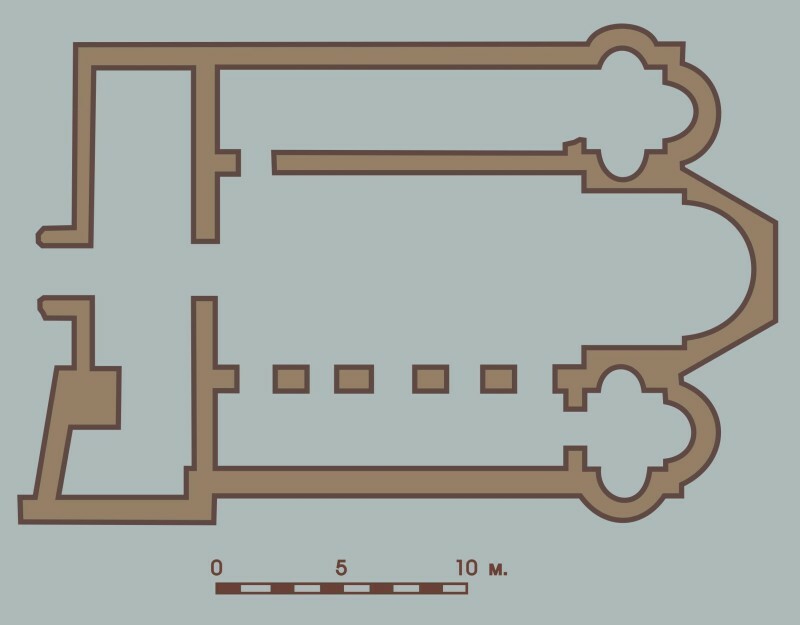 It is a three-nave church with three more apses and a nartex. The two side aisles have two smaller apses pointing the North and to the South. 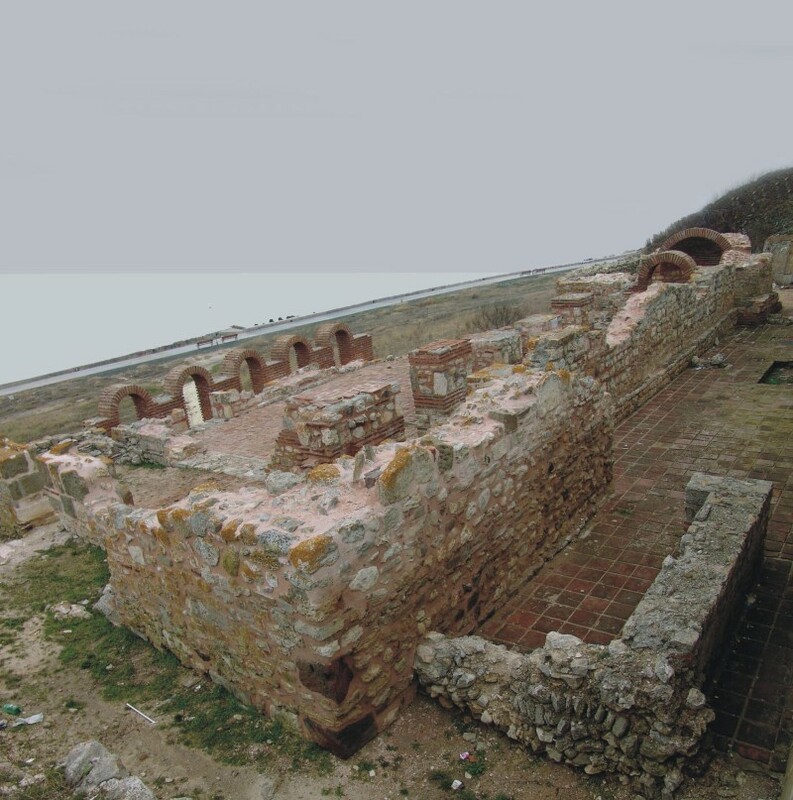 The northern part and the central nave have sunk in the sea. The basilica is 28 m long and 18 m wide. In 1920 excavations and studyings started here. Now the basilica is well preserved and partly restored. In the historical sources the church is mantioned until 14th century, when it was a part of a monastery complex.